Wanted: Members for the Group "Friends of Growth"
A lot of ambition but a little possibilities there were at the summit in Bratislava last week of 15 EU member states and Croatia (which is to become a full fledged member of the Community on July 1st, 2013). In the Slovak capital, on October 5th gathered prime ministers and representatives of Bulgaria, the Czech Republic, Croatia, Estonia, Greece, Hungary, Latvia, Lithuania, Malta, Poland, Portugal, Romania, Slovakia, Slovenia and Spain. 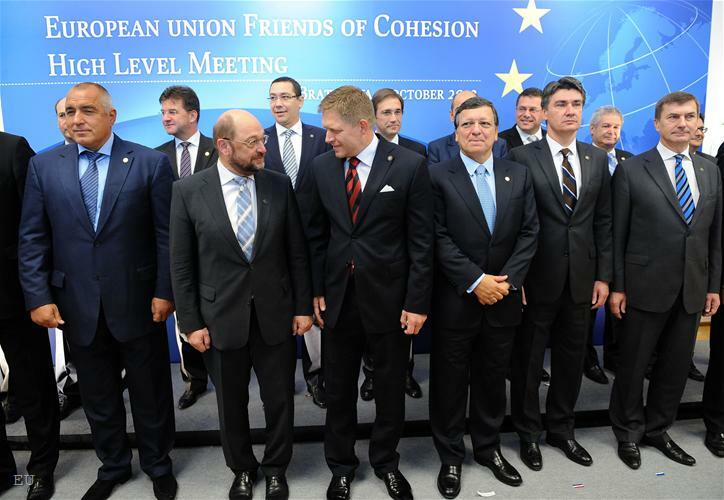 As can be seen, these are most of the new EU member states, but in general the group, also known informally as the "Friends of Cohesion", unites the poorer EU countries. Nonetheless, this group can boast the support of the European Commission (expressed unofficially) and the Europarliament, expressed quite clearly by the institution's President Martin Schulz. The group has formed spontaneously in the course of the negotiations on the multiannual financial framework (MFF) of the EU for the period 2014-2020, when it became clear that there will not only be no increase of the money for the next seven years, but the size of the overall ceiling has to even be reduced. The question is with how much and where to cut from. And it is here that the forming of harder positions started, which created the feeling of a division of the Union into two: group "Friends of Cohesion" and group "Friends of Better Spending" which, as can be judged by the name, unites the big, richer and austerity-oriented member countries, such as Germany, the Netherlands, Finland, Sweden, etc. 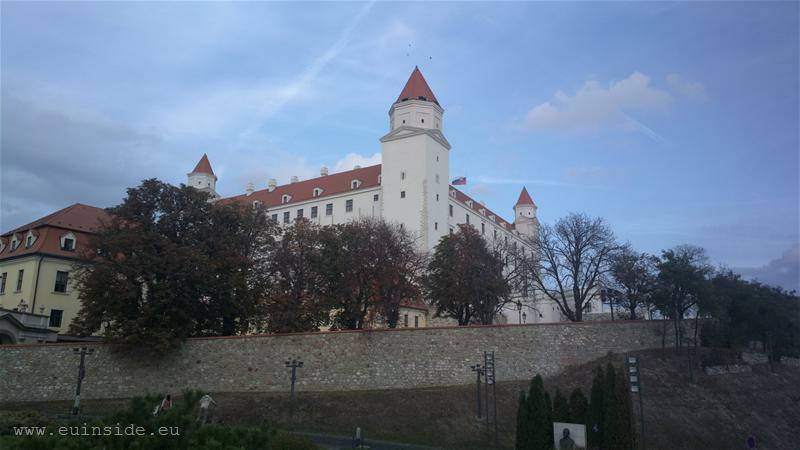 The membership in the two groups is quite informal and often instable, and it is this problem Slovakia's Prime Minister Robert Fico tried to solve by initiating the summit in Bratislava on October 5th. When opening the summit he said that he had invited the participants with the intention "to make our group even more visible, to present that we are united and to send a clear political message in support of the strong cohesion policy". Most of the countries in the cohesion group declare themselves for maintaining the size of the Cohesion Policy in the common budget because this is the main source of investments for their economies and it shielded them against recession. 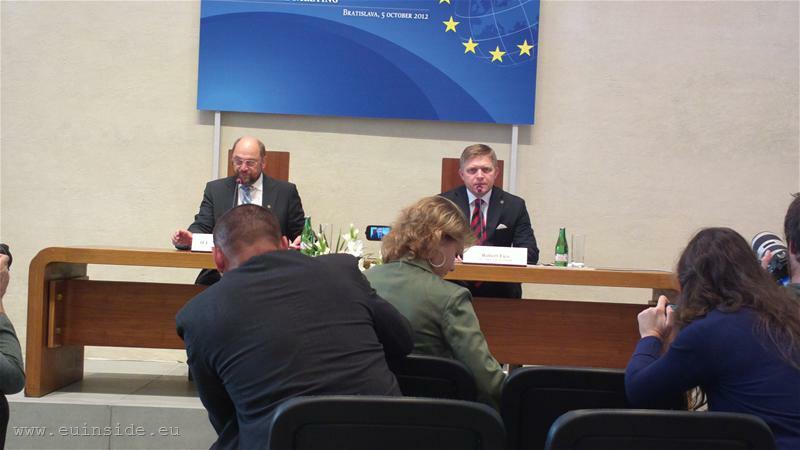 Such is the case of Poland, and about Slovakia Mr Fico said that 76% of all investments in his country came from the Cohesion Policy. Bulgaria and Romania are not among the most benefiting countries and from the statements of Premier Borissov it does not become very clear why Bulgaria is a member of this group, not the other. Before Bulgarian journalists in Bratislava he again declared himself for the implementation and maintenance of strict fiscal and financial discipline, in parallel with ensuring adequate and fair co-financing of the EU funds. No matter the motives of the Bulgarian prime minister to participate in this not in the "Friends of Better Spending" group, given that it is good discipline that is his own European argument, the presence of the two youngest European members increases the weight of the group. Regretfully, however, the desire for unity and strong position of Robert Fico was not realised and he seemed to be aware of that yet in the very beginning, when he said to his colleagues: "Our message should be clear and focus on issues which unite us. There should be no cuts on Cohesion package. Therefore we have avoided to put into the declaration other elements which are of particular interest to some countries. However, they could create internal division in our group. Please, take this into account when commenting the text". 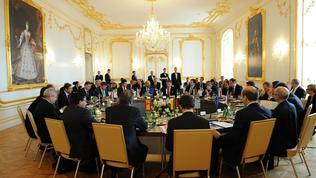 The division within the group is due to the various interests the member countries have. For example, some of them agree that if there was an overall cut of the budget it had to go horizontally and to pass through all Community policies. A position, defended by Bulgaria as well, as Minister Tomislav Donchev of Bulgaria, responsible for the EU funds, told euinside last week. Other countries, however, are firmly against the amount for economic cohesion to be reduced and are inclined to give away part of the farming subsidies - something which meets strong resistance in other countries, among which Poland. During the final news conference after the really quick summit, I asked Prime Minister Fico whether the disagreements were settled and whether there still was a risk of division in the group. To this he said that there was a misunderstanding and that in fact in the EU there were countries that would enjoy a bigger reduction of the European budget. On the other hand, there were countries, like Slovakia, which believe that the European Commission proposal is good and fair. 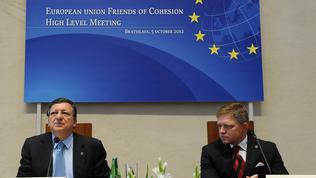 He added that he meant two groups of countries - "Friends of Cohesion" and "Friends of Better Spending". Robert Fico underscored that at the summit unanimity was reached. The text of the declaration, however, refutes the Slovak premier's claims because below the official text there is an exception for the Czech Republic. Prague joins the declaration under conditionality: "In this light, the Czech Republic agrees with the text of the Joint Declaration of the Bratislava High Level Meeting while maintaining that no MFF Heading, including the allocation for Cohesion Policy (except for Cohesion Policy funding for less developed regions and Member States) should be exempt from savings. With this reservation, the Czech Republic joins the Bratislava Declaration". No matter where exactly the division lies, it is a fact and it threatens the negotiations seriously, which was evident in the way European Commission President Jose Manuel Barroso spoke. He was in a great hurry but managed to stay at the summit for two hours and even to speak to the journalists. In his introductory remarks before the prime ministers of the 15 + Croatia, he said: "But we have to seize this moment to resist the forces of division and to pull together to defend our common future. We cannot leave any doubt on our collective readiness to turn the page on the days of a culture of entitlement where structural funds were sometimes seen just as a kind of a right to spend it or not to spend it, because sometimes it was not possible to spend it anyhow. This cannot be supported". He also called for the concerns of the group "Friends of Better Spending" not to be considered a threat but an opportunity. A little while before he left Bratislava, with a worried appearance he called for the conclusion of a political contract with which the rich countries to commit to continue to support the less developed regions, while the poorer countries in return to accept the macroeconomic conditionality the rich insist on. In his words, the two groups of "friends" needed to unite in a third group - "Friends of Growth" - because this was what the EU needed at the moment. 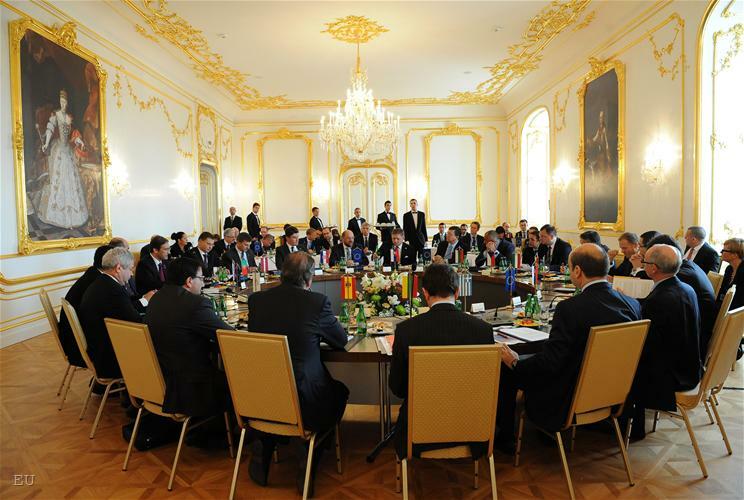 At the Bratislava summit, another issue emerged as well, which is a source of great concern. 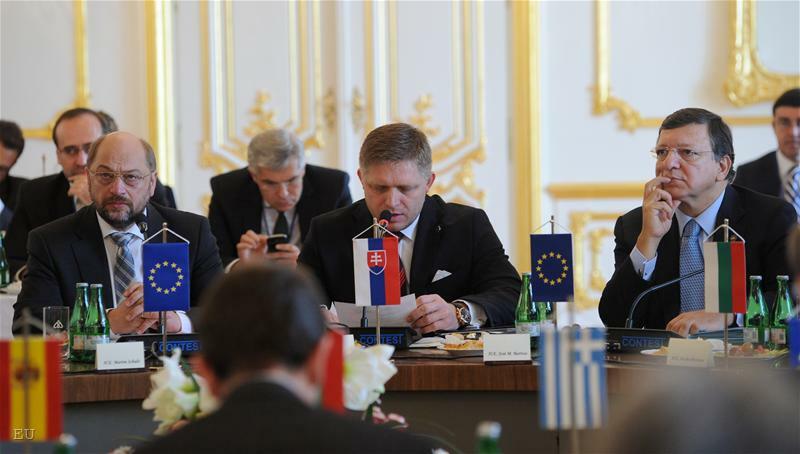 In the beginning of the meeting, the Slovak prime minister tabled four questions to be discussed by the leaders, the most important of which was - should a final deal be reached by the end of the year and can we afford any delays? In this sense, in the declaration there is a sentence that does not give an unequivocal answer: "A timely agreement is also important in the light of our ambition of better spending. Therefore, EU institutions and leaders should use all their efforts to conclude negotiations by the end of 2012 in order to demonstrate their ability to properly address current and future challenges and find solutions to citizen’s benefit". It seems that this sentence worried Jose Manuel Barroso too, who in his statement before he left emphasised precisely on the need an agreement to be reached now because this would send a signal to the world that the EU is capable of solving its problems. Besides, he said, a possible delay would not lead to a better deal, but on the contrary. The message from Bratislava is that the overall level of resources of the Cohesion Policy should be in line with the Commission proposal in order to achieve the common European objectives. "There is no room for further reduction following the Commission proposal". 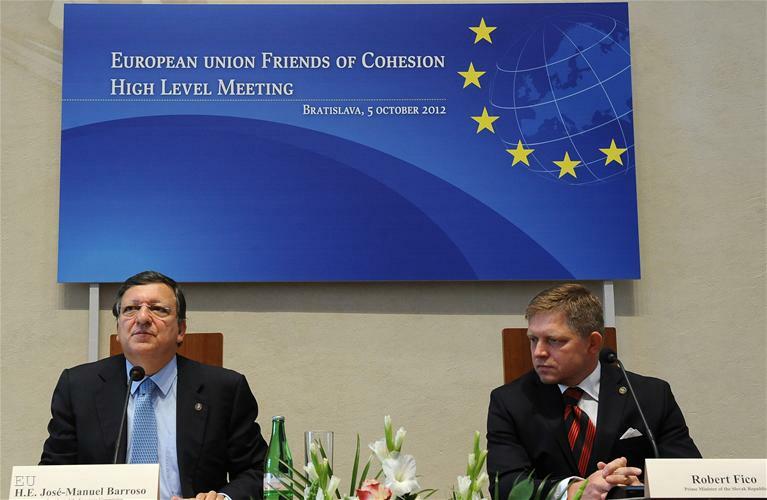 Apart from that, it is pointed out that the financing for cohesion should focus on less developed regions and member states, while in the same time the need is acknowledged to help regions exiting convergence (meaning they have already reached the level of economic cohesion) and phasing out regions to reach a higher level of development. This is precisely that differentiation of funds for regions Minister Donchev spoke in his interview for this site. The group also insists the current level of co-financing to be maintained and even to be increased in the cases when a member state has significant economic woes, as was done with the countries with financial troubles as one of the ways to ensure a fresh injection of money to the economy. An important element in the declaration of the "Friends of Cohesion" is their demand to extend to all Common Strategic Framework’s funds the current provisions related to the eligibility of the non-recoverable VAT. On November 22-23, in Brussels, there will be an extraordinary EU summit, which aims to ensure an agreement on MFF 2014-2020 to be reached by the end of the year. At this stage, however, it does not seem possible a compromise to be reached, in spite of the statements that compromise is needed. As Martin Schulz said in the end of the summit in Bratislava, "we are all ready for a compromise but that means everyone to make concessions". "The EP is prepared to make concessions. But one thing is absolutely clear for the EP - we will not accept, neither as a European institution nor I think as a Parliament representing members from all the member states and representing the unity of the EU, that in the final moment of our negotiations 1 or 2 member states will blackmail all the others. We are prepared to make compromises but everybody must at the end decide that the union of 27, soon 28 member states, is based on the willingness to come to a fair and just deal. 'Friends of Cohesion' and 'Friends of Better Spending', in my eyes, should join common line of 'Friends of Better Argument'. And the FBA are those who understand that this prejudice, that money for Brussels is wasted money, should for one and ever be finished. 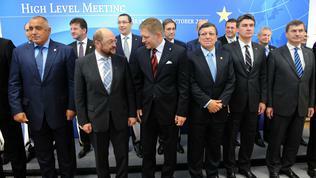 Money for the European budget is for our people", Martin Schulz concluded. But there is another issue, which from now on will be hanging with much force in the air - by when the "friends of cohesion" countries will rely on the structural funds to replace the lacking foreign investments? And is this not a more harmful model of avoiding recession in the long-term? A conversation that, regretfully, has not started yet in the EU, even less in the group that unites all the countries with weak economic potential. We are yet to witness in the upcoming weeks which will be the better argument.